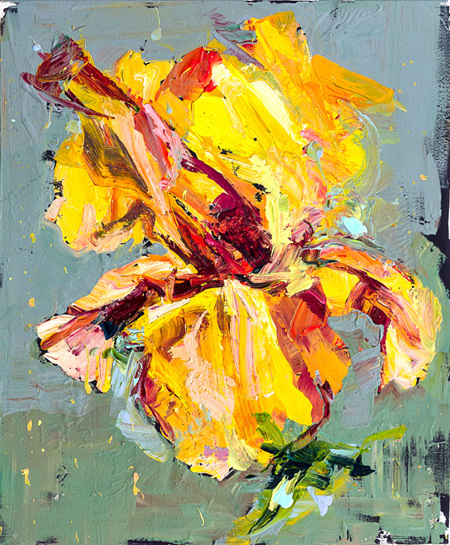 Where Carmelo Blandino has proved himself exceptional is coaxing forth of something deeper and greater from his subjects. His works unify raw, earthly sensuality with the transcendental, the ineffable: verve and vivacity interwoven with clarity and serenity. With his latest collection of paintings, Blandino has reached beyond his familiar approach and stepped into and adventurous and playful method of creation. 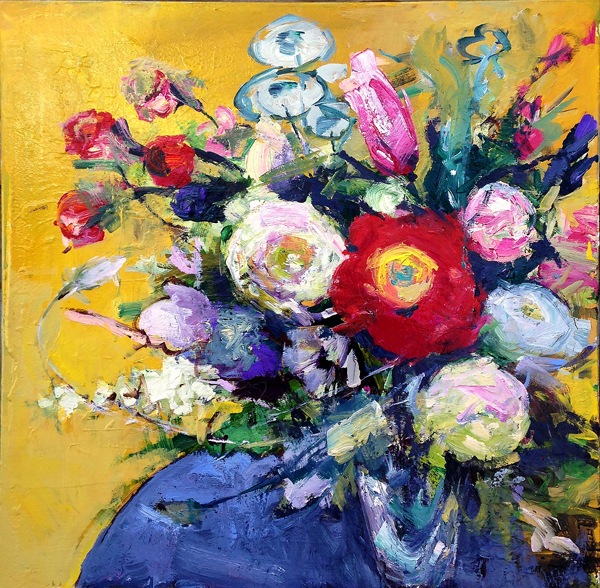 His assemblage of flowers reveals wondrous, intuitive compositions, quiet riots of comforting colours and delicate dynamics. He has opened the doors to a new world of contemplating the depths of a solitary flower. Born to Sicilian parents in Tübingen, Germany, and raised in the culturally charged cities of Montreal and Sicily, Blandino studied art and design at local colleges in Montreal. He then embarked on a successful career as a freelance illustrator, working with architects, designers and advertising agencies before shifting his focus to the world of fine art. Blandino’s paintings are informed heavily by his Sicilian heritage as well as the baroque style. Today, his paintings are widely known for their immediacy and their sensual, even lascivious expressions of colour, movement, and shape. His work is exhibited in New York, Palm Beach, Naples, Stockholm, Calgary, Vancouver, Toronto and his beloved Montreal. He has conducted summer workshops at Von Liebig Art Center of Naples, Florida, and taught drawing for many years at Dawson College in Montreal before transplanting to Naples, Florida where he lives today.